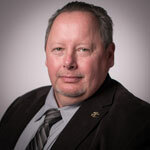 Sheet Metal Workers Local 24 Dayton District Business Representative Rick Perdue was recently elected as the new President of the Lima Building Trades. Perdue, who served as the Vice President, replaced Mike Knisley, who retired in the summer after the Ohio State Building and Construction Trades Council Executive Board unanimously voted him as their next Secretary-Treasurer. Knisley served in this unpaid leadership role for 11 years in addition to also being the Business Manager of UA Local 776 for 14 years. Having served SMW 24 as a Business Representative for eight years and serving on the Lima Building Trades Executive Committee for four years, including the last two as vice president, fellow executive board members thought Perdue had the right experience, which is why he was the unanimous choice to lead the organization. The President of the Lima Building Trades performs duties similar that those of the Secretary-Treasurer of other building trades council in Ohio. So far, Perdue has been able to handle the extra duties. Within SMW 24, his specific territory in the Dayton District is the area north of Interstate 70, which includes the Lima Building Trades jurisdiction. One of the first things Perdue learned about the position was the importance of scheduling and communicating with his executive board. The Lima Building Trades hold a monthly tripartite meeting with the oil refineries in Lima, and Perdue is unable to attend some of those meetings due to conflicts with work as a SMW 24 Business Representative. Other executive board members will help Perdue to ensure every tripartite meeting is attended. Perdue said his new role as Lima Building Trades President is not that much different than some of the responsibilities he handles for SMW 24. He is learning about National Maintenance Agreements, including how to deal with jurisdictional and company issues. He also has been able to call Knisley for advice on some issues within the busy jurisdiction. SMW Local 24 congratulates Perdue for his new role as President of the Lima Building and Construction Trades Council.